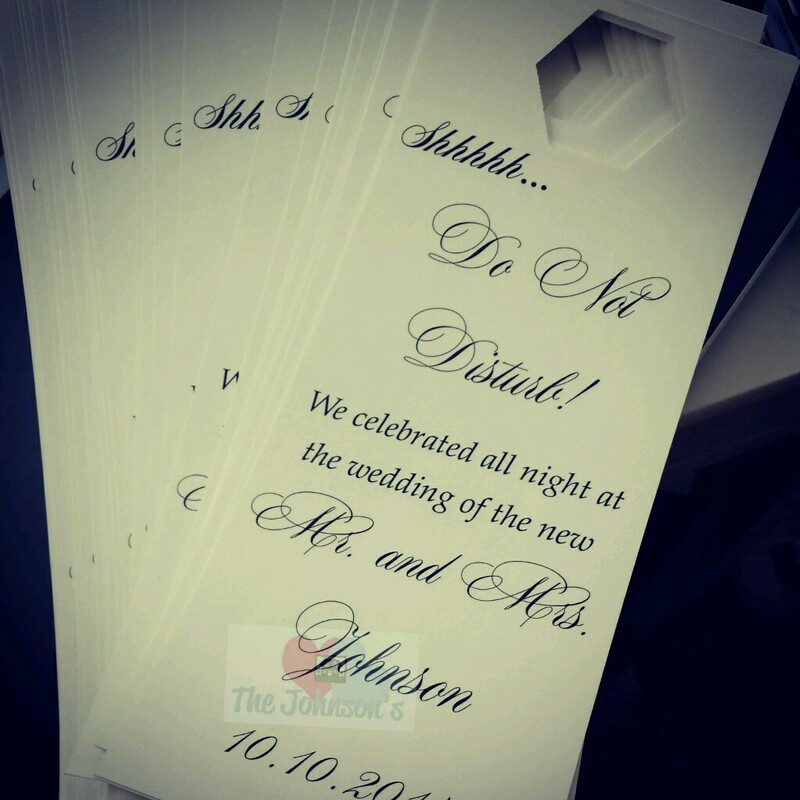 We included custom made “Do Not Disturb” door hangers in our Welcome Gift bags for our wedding guests. Just a little something hand made to make them feel welcome. I got a few sheets of white glossy poster board from Walmart for .33¢ each. I cut them into 4.5 x 11″ sheets. I realized that my printer might not print too well on the glossy side, so I printed on the matte. After they were done printing, I used my handy hole punch for the holes. And voila’ ! Hey Rosa! I don’t have a template sorry but you can adjust your page settings to the size specified above. I just used a pretty cursive font called Maratre I found from dafont.com.